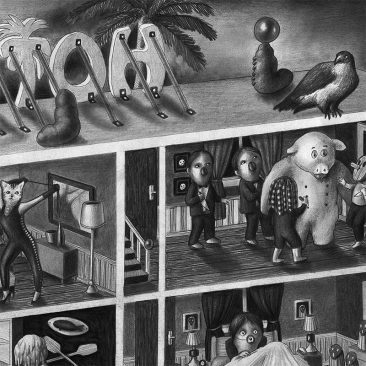 Amandine Urruty lives and works on her bed, with a suit case full of pens always nearby. 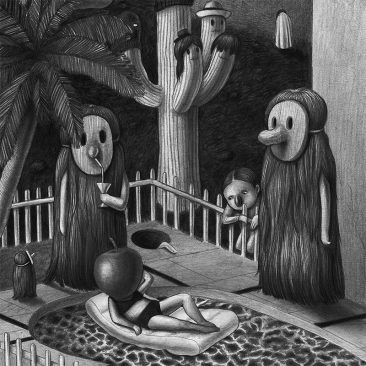 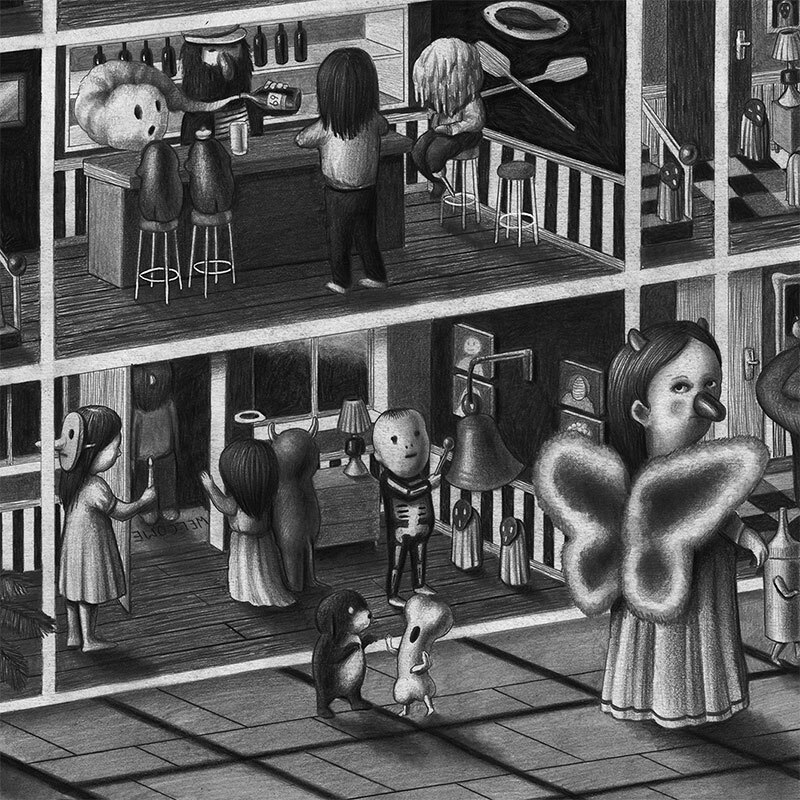 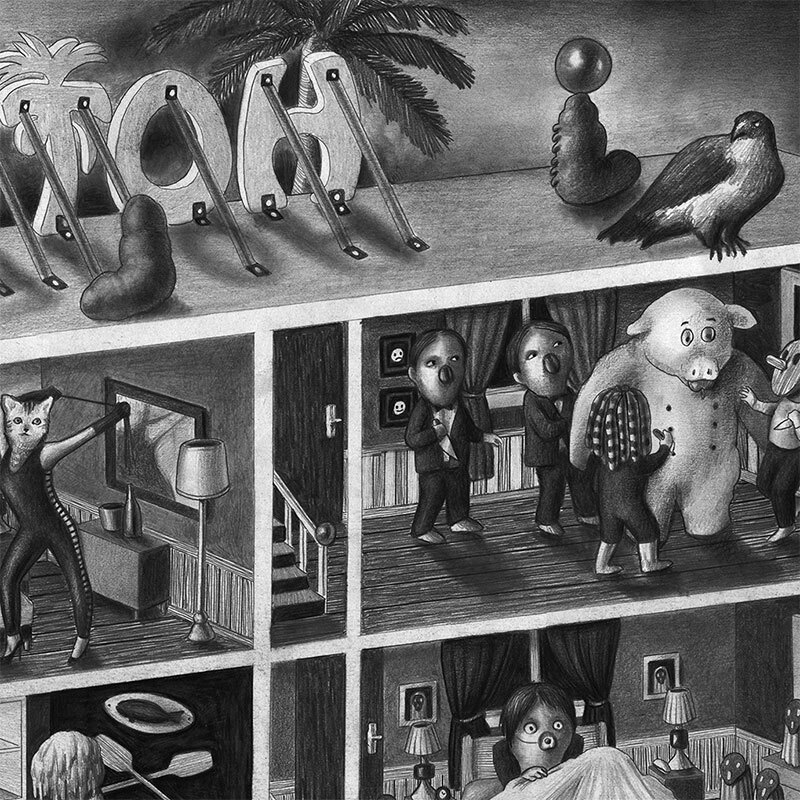 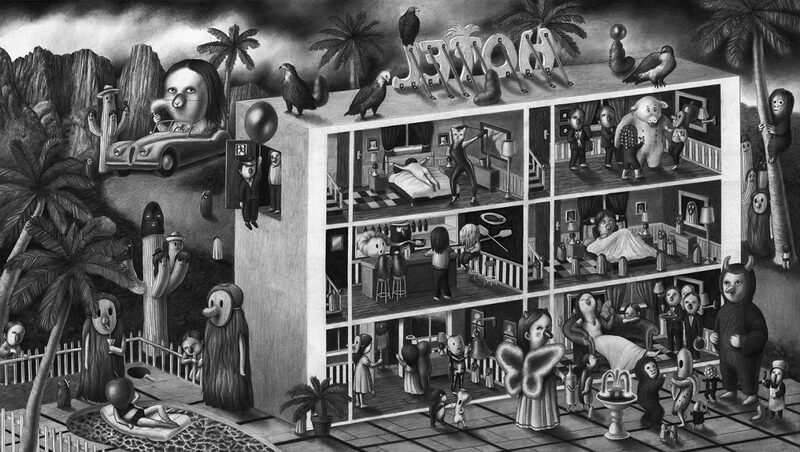 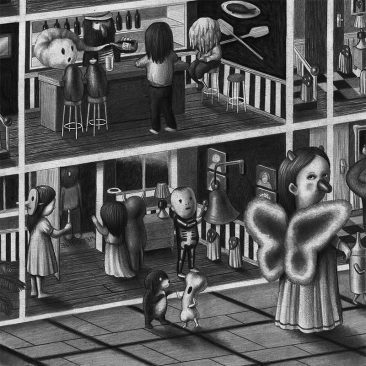 After studying at University for long years and a brief career in underground music, Amandine Urruty spreads her repertoire of beasts and her gallery of weird characters on all kind of mediums, on paper as on walls. As she masters techniques of traditional drawing, Amandine Urruty offers us a cheerful gallery of deviant portraits, associating grotesque outfits with baroque decorum which miraculously reconcile lovers of alchemistic symbolism to young ladies with too much make up. 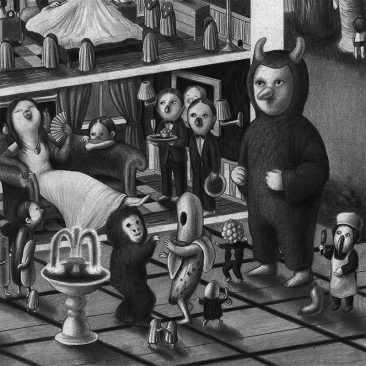 Indeed, Amandine Urruty builds her images like we would wander in the alleys of a Sunday fee market, borrowing to the mass of objects and to second hand toys their fundamental ambivalence, being wicked and peaceful, decorative and saturated at the same time.